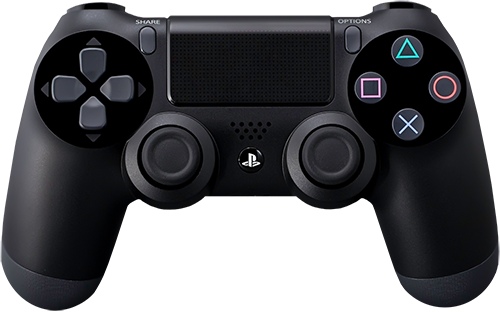 The DualShock 4 controller from Sony is the latest in the DualShock models and is the Native controller for the PlayStation 4. It features many improvements over the DualShock 3, including a Touchpad which can register two fingers at once and true Six-Axis as it now has Accelerometers and Gyros for the X, Y and Z Axis. Thanks to the CronusMAX PLUS, the Touchpad and Six-Axis controls can not only be used on the PlayStation 4 but can also be used on the PlayStation 3, Xbox One, Xbox 360 and a Windows PC. The CronusMAX PLUS is also currently the only crossover adaptor on the market which offers Full True Six-Axis Support when using your DualShock 4 on a PlayStation 4.